Refractometers - Texas Brewing Inc.
Refractometers from Texas Brewing are a quick and easy way to measure the gravity of your wort, beer, must or wine. They require a much smaller sample than a hydrometer to give you an accurate specific gravity or brix reading. Refractometers are especially helpful when lautering during all grain beer brewing, as you can continually check the gravity of both the run off and in the kettle. 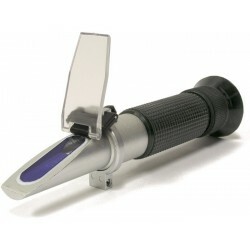 Refractometers come with an eyedropper for easy sample retrieval. 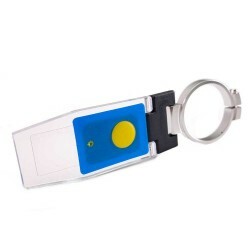 They also come with a small screwdriver to calibrate the refractometer. This is done by adding distilled water to the sample plate and using the screwdriver to turn the calibration screw and set the refractometer back to 0º brix or 1.000 specific gravity.